"Hello! 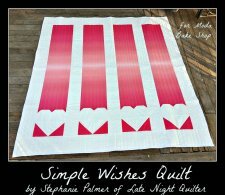 I’m Stephanie from Late Night Quilter, and I’m excited to share with you this easy, ombre, heart quilt that’s perfect for any little girl. 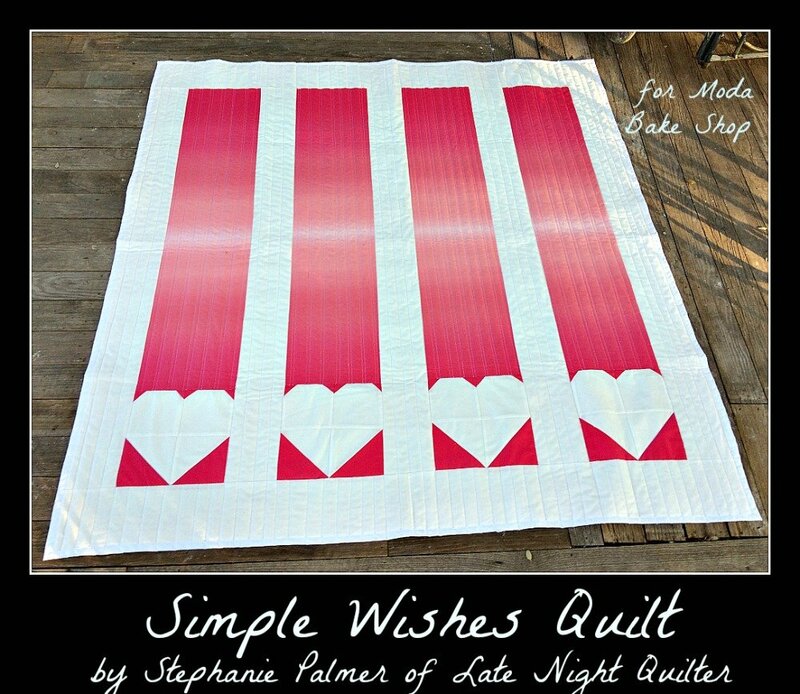 It doesn’t have to be Valentine’s Day to enjoy this quilt that measures 51.5″ x 55″. Let’s face it, girls like pink and hearts, no matter what month it is. 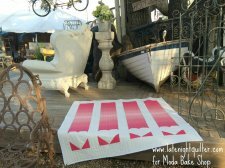 My 7-year-old daughter Sophie and I designed, sewed and quilted this project together. It was the first time she’s ever sat down at the sewing machine by herself. 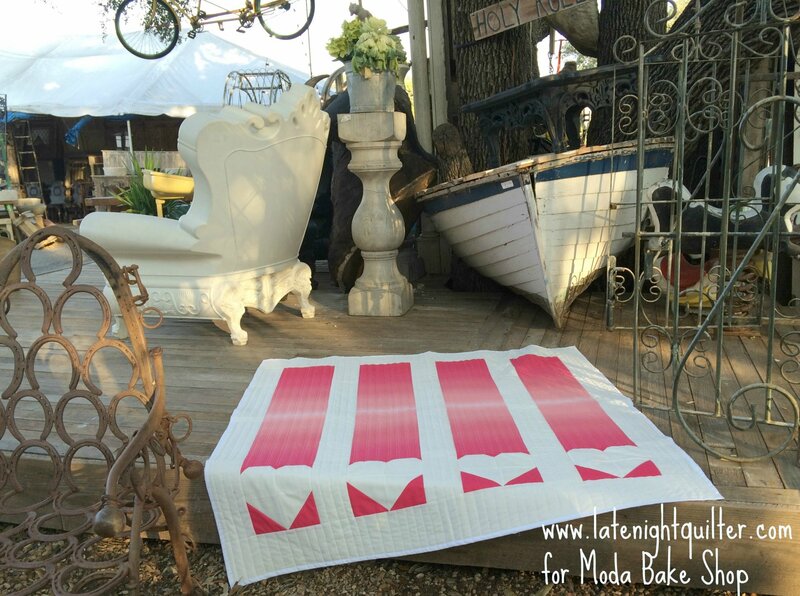 She helped piece and press the hearts, and she is over the moon that our quilt is being featured at Moda Bake Shop (and her mom is pretty thrilled too)."